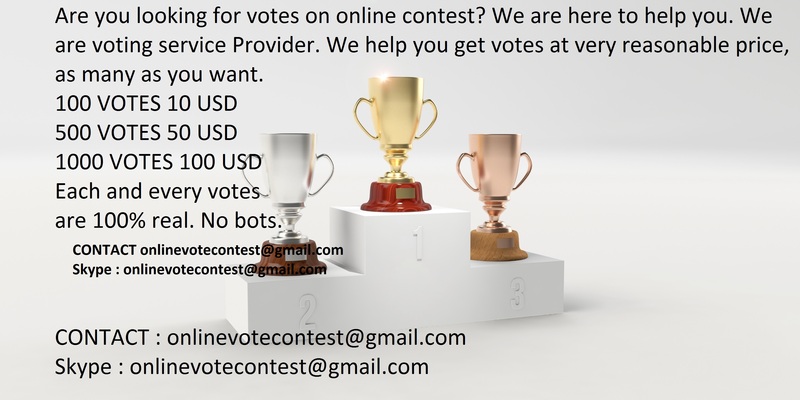 I will promote your voting link and you will get 100% real social media site. Did you applied in contest? and you are looking for a online marketer to get the result? then you can buy this service without any hesitation. I will follow terms and condition properly so you will not kick from the contest. Please also check extra service and you can also contact with my massage. I will promote your business via social media, specially SoundCloud, Twitter etc and you will get votes from a real user. mostly will be from US and from unique IPs and accounts. I will complete before the deadline. If you have any query, please feel free to message me. Manually get 100 Real online voting contest votes for is ranked 5 out of 5. Based on 33 user reviews.